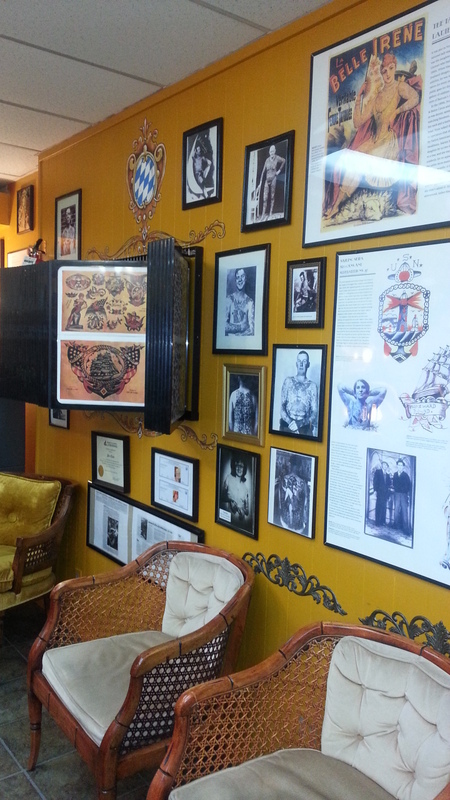 Leavenworth Tattoo & Piercing Haus - See what people are saying about us! ﻿"My wife, I and adult kids have had no less than 18 tattoos done here over the last three years. I personally have had work done by both artists. The experience has always been pleasant and low key and we love our tattoos. Never have we had problems with scarring or excessive bleeding. More often than not, we have a conversation afterwards remarking on the lack of bleeding and pain. Geisha does fantastic fine line and lettering work and I would recommend her for your small and detailed tattoos. One of the great benefits of getting your work done here is the consistent quality that comes from a stable staff. This shop does not suffer from the turnover of artists that is so prevalent in this industry. You don't have to worry that the next time you go back 'your artist' will have moved on and you are stuck hoping you get someone skilled enough." "......Just wanted to say that Andrea and I had a wondewrful experience again, as always, when we visited your shop on Saturday! You guys are the total package. You provide the expertise, class, and ambience, that will keep us coming back." "Gina and I had a great time getting inked by you this weekend. Her first tattoo probably wouldn't of happened if it wasn't for the great vibes we got upon walking into your shop. Thanks for the experience!" "My husband and I and two friends were in town two weeks ago to get tattoos on the spur of the moment during our weekend vacation.. I wanted to thank you for doing such great work and for being such an enjoyable place to get inked! It's a simple design but we both still love it! My husband likes it so much that even though it was his first he's already talking about getting another one. Thanks for helping me get him hooked on this just like me!" "I just had to write to thank you for the wonderful experience I had in your shop last weekend. I was impressed by your commitment to excellence, professionalism and outstanding customer service. But most of all- I love my awesome new tattoo. It is a wickedly awesome masterpiece.......it surpassed all expectations in every way!" "We wanted to thank you very much for all your hard work and the amazing dedication & detail you both put in to your designs. We couldn't be happier with all the tattoos we've gotten by both of you (especially my brand new leopard spots!) & we will continue to tell everyone we know about your talent & warm environment." "I just got home from receiving a tattoo from Geisha, she tattooed my very missed kitty's paw prints on my wrist and I couldn't be happier with it. This was my first tattoo and she made me very comfortable. Thank you so much for a permanent reminder of my sweet kitty." "I never thought I would get a tattoo. But you made it an enjoyable experience and I love my tattoo." "Just took my friend and neighbor to get tats at this place. This is my third and her first. What an awesome place! Friendly, inviting, but also all you want from professionals. Sterile and worry free. These two are artists. And what a great town!" "Best pain free tattoo ever love this place will be coming back again for more. Geisha is amazingly awesome." "Literally just got penguin tattoos with my girlfriend. The shop is run by a husband and wife team. The whole experieince was just amazing. It's our first weekend getaway together with no kids so we wanted to commemorate it. Also being our first time to visit Leavenworth we decided on a tattoo. I can't say enough good about this place. If you want a tattoo and are in Leavenworth visit these guys. If you want a tattoo and aren't in Leavenworth wait and plan a trip to come see these guys." "Wonderful experience at the local tattoo shop! My boyfriend and I got penguin tattoos and they look amazing. The husband and wife team there made the experience even better. I'm glad we stopped in. I will definitely get another next time I go through Leavenworth. Thank you for being a part of our story."